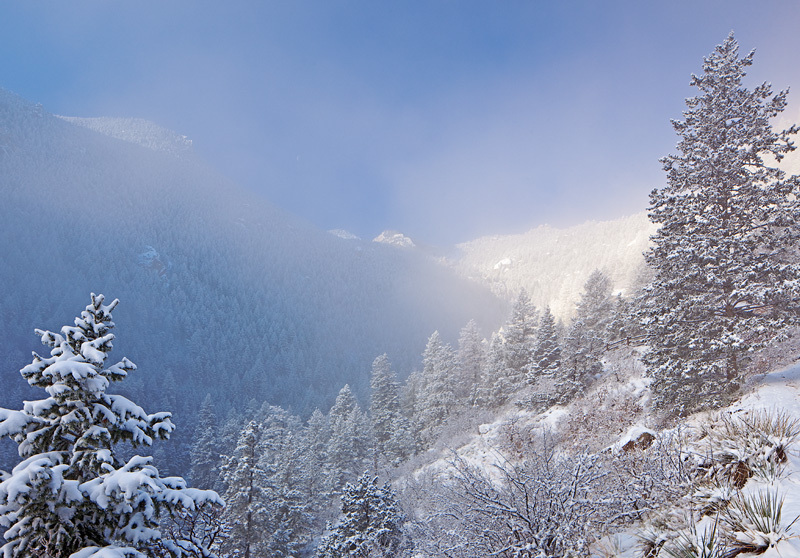 Magnificent foggy atmosphere on Pikes Peak's Barr Trail after a light snowfall. March, 2014. Photo © copyright by Stan Rose.